Mitel Business-Class Phone and Communication Products provide business-wide telephony solutions to help businesses manage their day-to-day operations. Complete real-time and historical reporting enables you to improve business processes and performance, and identify opportunities for cost savings. Quality Communications offers you complete end-to-end support of your Mitel Business Phones and Mitel Communications Products. • The 24 port ONSp card increases the density of analog extensions a single SX-200 Controller can support by up to 50% - ideal for hospitality properties! • New! 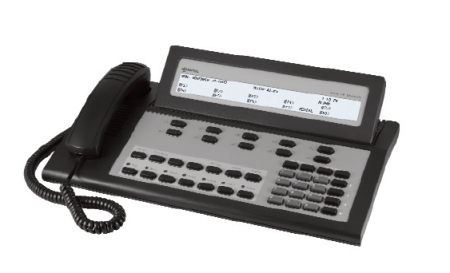 The Mitel 5540 IP Console is currently available for the SX-200 ICP. This console is a direct replacement for the previous DNIC-based attendant console, and eliminates the requirement for a DNIC port while providing not just existing attendant console functions, but enhanced functions as well. The Mitel® 3300 IP Communications Platform (ICP) provides enterprises with a highly scalable, feature-rich communications system designed to support businesses from 10-65,000 users. The 3300 ICP provides enterprise IP-PBX capability plus a range of embedded applications including standard unified messaging, auto-attendant, ACD and wireless. Operating across virtually any LAN/WAN infrastructure, the 3300 ICP provides seamless IP networking allowing for full feature transparency within distributed environments by supporting networking standards such as Q.SIG, DPNSS, and MSDN. The 3300 ICP provides organizations with the opportunity to IP enable their legacy PBX's, protecting existing investments while delivering all the advantages of a converged infrastructure. Mitel Communications Director software supports over 500 telephony features – features that are delivered to the many user communities through easy-to-use interfaces, such as our web-based system management. At the user level the 3300 ICP supports the industry's largest range of desktop devices including entry-level IP phones, Web-enabled IP devices, wireless handsets (WiFi or IP DECT) and full-duplex IP audio conference units. Mitel's track record of innovation at the desktop is continued through the Navigator - integrating two of the most used business tools, the PC and the phone, to deliver real benefits to the user, The 3300 ICP also supports a powerful suite of applications including multimedia collaboration, customer relationship management and unified messaging. Industry standard Application Programming Interfaces (APIs) are supported for extensive third-party applications through Mitel Solutions Network (MiSN). The Mitel® 5540 IP Console is the ideal attendant solution for small and medium businesses using the Mitel Communications Director (MCD) solution or the Mitel SX-200 IP Communications Platform (ICP). This economical answering point supports the same tried and tested functionality of its predecessor – the Mitel SuperConsole® 1000 Attendant Console – with the additional benefits of an IP platform base. It can be used as an attendant console, a sub-attendant position for departments or workgroups, or as a back-up answering position. Affordability, simplicity, and a broad range of standard and specialty functions make the 5540 IP Console the practical choice for small and medium business customers. Hospitality customers will find that the 5540 IP Console is the perfect attendant solution for their unique hotel / motel requirements. Using the highly integrated hotel / motel feature package on both the SX-200 ICP and the MCD platform, hotel operators can accurately enter room data, easily update guest status, and gain greater flexibility and control of incoming, outgoing, and room-to-room calls. Hospitality-specific features allow attendants to program automatic or personal wake-up calls, request reports of all current wake-up calls, receive room status updates, activate direct inward dialing so that outside callers can reach guests without front desk assistance, and much more. The 5540 IP Console combines ease of use with extended specialty functions to create an economical attendant solution that will suit the needs of any hospitality enterprise. The 5550 IP Console’s Busy Lamp Field (BLF)-based Transfer Assistant functionality provides an automatic search for every call, providing attendants with a Most Recent / Most Frequent panel. Over 90% of incoming calls can be transferred with a single click, reducing searches, improving accuracy, and making attendants highly efficient. 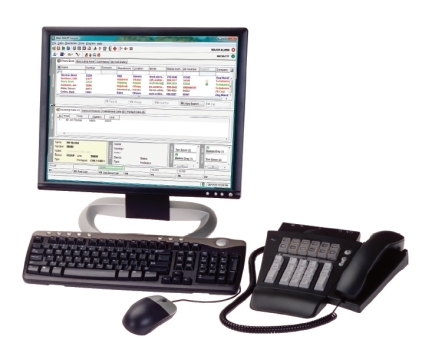 The 5550 IP Console’s sophisticated call handling features make it ideal for high volume call environments where attendants need to manage calls rather than simply answer phones. Presence is a standard requirement for enterprises attendants. An employee needs to have a seamless way of informing the attendant when they will not be at their desk. Presence and Instant Messaging (IM) support allows the console operator to see if someone is away from their desk, busy, or does not want to be disturbed. IM support allows operators to quickly send messages to a user to let them know they have a call, or to ask a quick question on behalf of the caller.